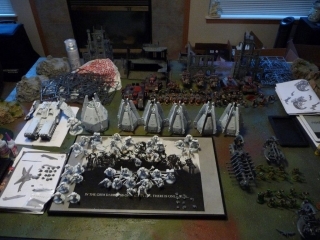 « The Road to Adepticon 2012: 9 Days to go. So yeah, here I am again. 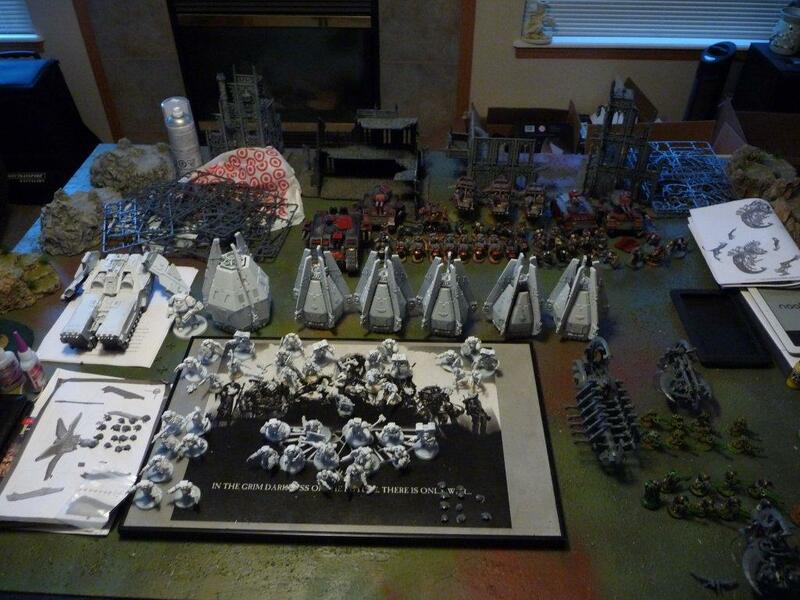 12 Days until I hit the road to go to Adepticon 2012. This year I’m participating in 3 major events, the Adepticon Championships, the Adepticon Team Tournament, and the Gladiator. I’ve decided to field 3 different armies. I’ll be running a Mordrak list of Grey Knights for the Championships, playing Necrons for the Team Tourney, and hopefully, running a drop pod Space Wolves list (w/ some added Forgeworld goodies) for the Gladiator. I’ll post the lists up as I get closer to finished with each one. This is all the stuff I have to paint. My mission, since I’ve now put myself in a corner and haven’t given myself an out, is to use the next 12 days to paint my Necron and Space Wolf forces. I also need to base both of them and add decals and banners where appropriate. Additionally, I need to write a fluff piece for my Necron Team and also come up with a way we can display our team banner. It is a lot to do. Luckily, I managed to get everything assembled so far. I will try and document it all here as I succeed or fail. This is it! Damn the torpedoes! Full speed ahead!